Students often struggle with persistence—they’re uncomfortable with the idea of trying a solution if they’re not confident that it will yield the desired results, which leads them to refuse to take risks. The dice in a corner problem from the NRICH Project is a perfect example. This problem asks students to align at least three dice in a corner such that the touching faces have equal value, and the sum of the exposed faces is exactly 18. So the minimum requirement to find a solution is being able to count up to 18, a low floor, but educators can push more capable students by prompting them with questions about patterns they notice or by encouraging them to find all of the solutions. It’s helpful when a problem leaves room for different interpretations. 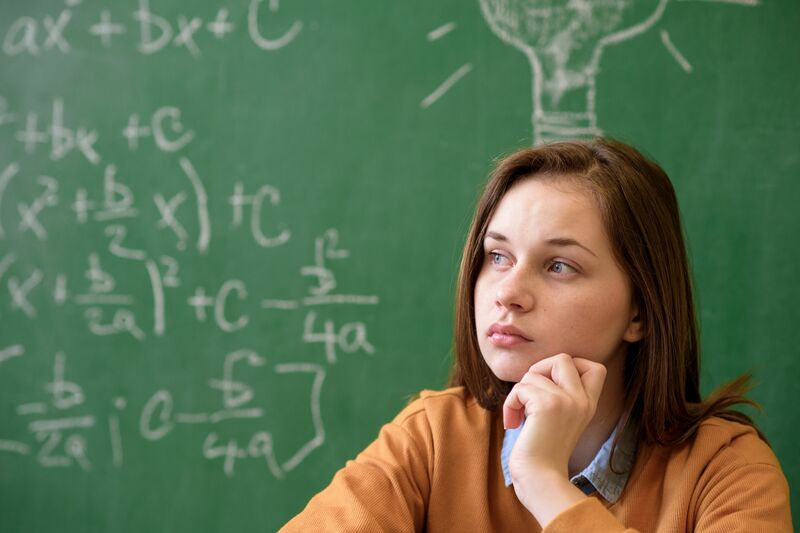 A vaguely worded question promotes critical thinking as students decide what they think the question means and how that will affect their solution. Snowmen Buttons by Christian Courtemanche is an example of an ambiguous wording for elementary levels. This problem asks students how many snowmen with two or three buttons each can be built if they have 21 buttons, but it doesn’t specify whether all the buttons must be used or if the number of snowmen should be maximized. I also like to vary the types of problems and the content. The problems I give in my algebra class often don’t have an algebra component—like the dice in a corner problem described above—and they never relate to the content we’re currently studying. Problem solvers keep the class fun and engaging.